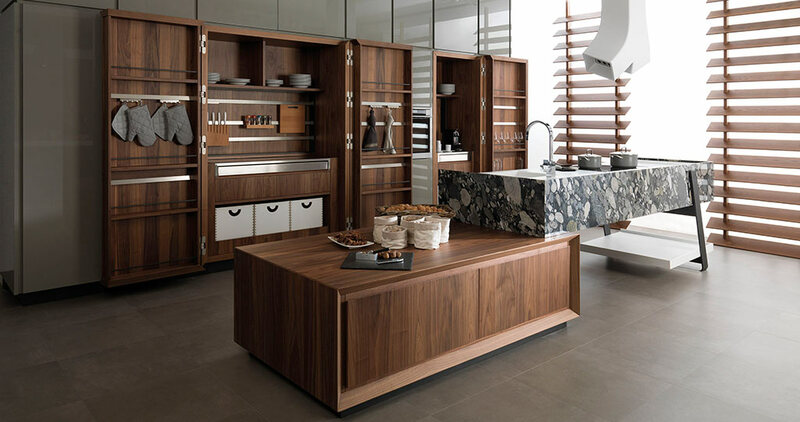 Gamadecor, the kitchen furniture, bathroom and cupboard production company is once again positioned as the leading Spanish kitchen equipment company according to the ranking by the Governing Body for the Spanish Manufacturing Association of furniture and kitchen accessories. 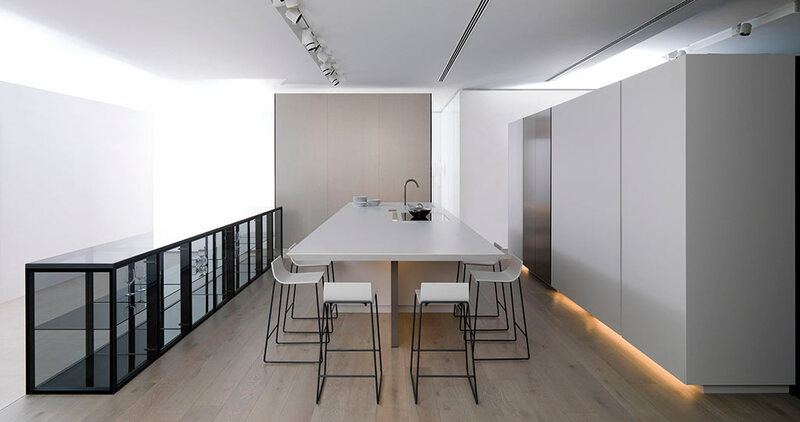 The volume of sales by the firm that forms a part of the PORCELANOSA Grupo is more than 5000 kitchens sold each year, and in addition to this, over 25,000 bathrooms are sold by Gamadecor each year. These figures confirm the company as the leading national kitchen company, largely because of its strong growth strategy based on exportation. In fact, 80% of the production destined for sales has been done internationally, at the expense of the 20% of the production which remains on national soil. Currently, Gamadecor exports to over 140 countries around the world, which certainly means that it is firmly positioned as an international leader. For the firm, Gamadecor, one of the keys to success in relation to its business lies in counting on innovation in design and materials, as well as in production processes. 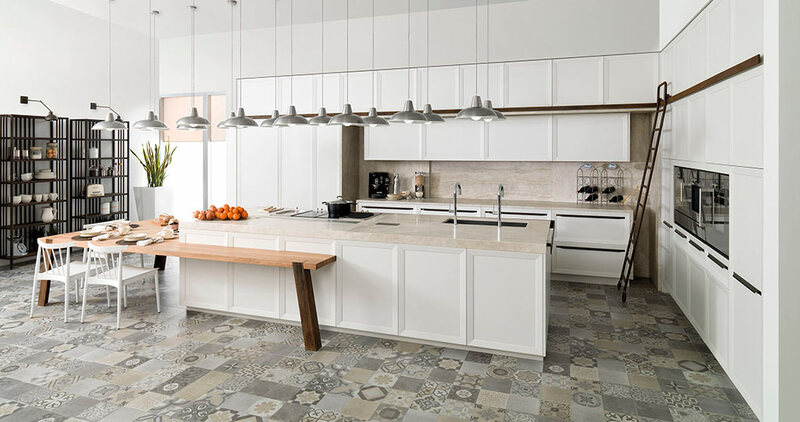 With regard to the latter, it is worth pointing out how the PORCELANOSA Grupo, through its firm, Gamadecor, has been able to continuously renovate its production processes, by setting up an innovative manufacturing plant for kitchen equipment. In this regard, Gamadecor has provided its facilities with new cutting-edge machinery and technology, such as the intelligent panel warehouse, for a quicker and more accurate management of the different materials. Furthermore, the plant has been provided with a laser edging-system and a soforming system which make it become the leader with regard to the edging on the front sides and decorative panels of the furniture. As well as that, Gamadecor has included a five-axis numerical monitoring centre for difficult and nearly impossible machining tasks, as well as a new background spray booth and paint tunnel. In addition to this, the plant lab has been improved, with the aim of carrying out regular exhaustive testing phases to guarantee the quality of the pieces. One of the other keys that make Gamadecor the leading firm on the market, is the use of high-authenticity-and-quality materials, and also the innovation in its equipment design. Therefore, the PORCELANOSA Grupo not only goes beyond trends but also creates them, advancing way beyond future design trends. 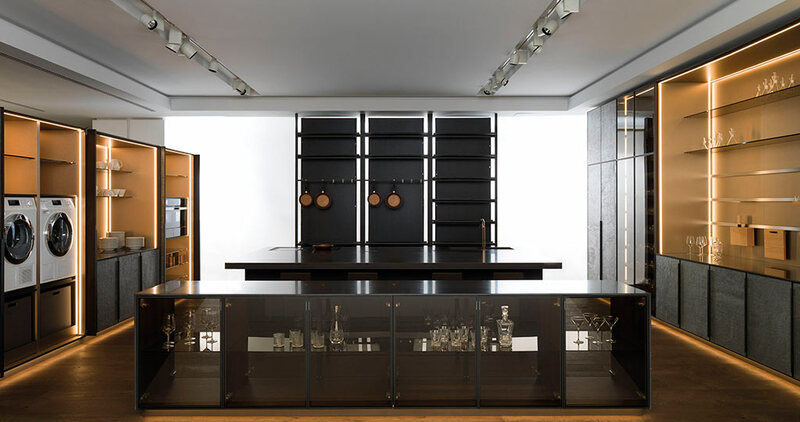 In this way, Gamadecor comes up with functional kitchen equipment, which is both integral and experiential, and furthermore, able to stimulate senses. 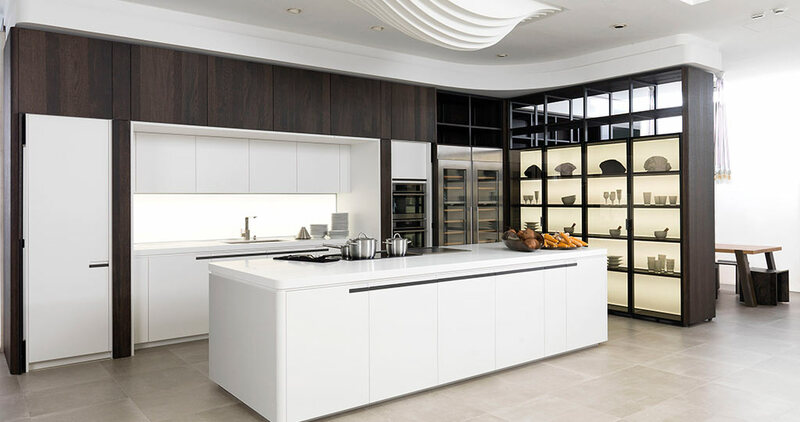 It also leaps into the professional kitchen by professionalizing kitchen equipment for the most innovative designs on the market between residential and contract projects. 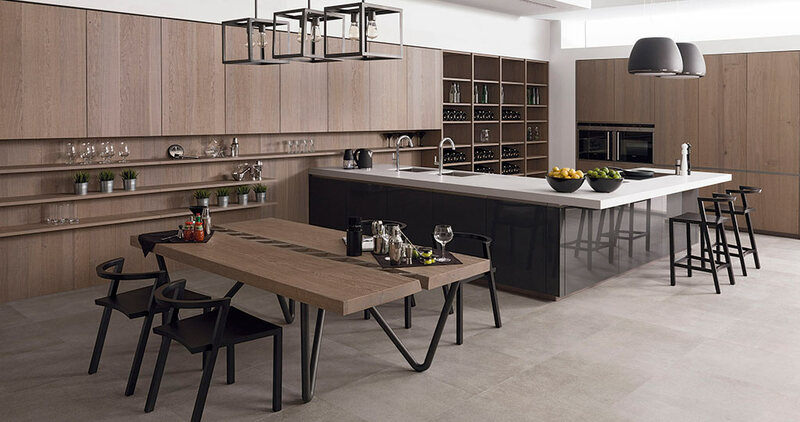 Since this is all about going further in the concept of culinary art and creativity, this is something that can only be done in a kitchen by PORCELANOSA. Currently, Gamadecor has an area of over 140,000 m2 and a workforce of more than 240. The firm strives day in and day out to offer the most practical functional kitchen equipment, with the highest quality and top design.